Back to normal service today, busy busy yesterday so no chat. The scaffolding has gone at the back which is great. I was tempted to use it as a bonus washing line last week when it was so sunny. The sun decided not to come out today, look how grey the sky is. 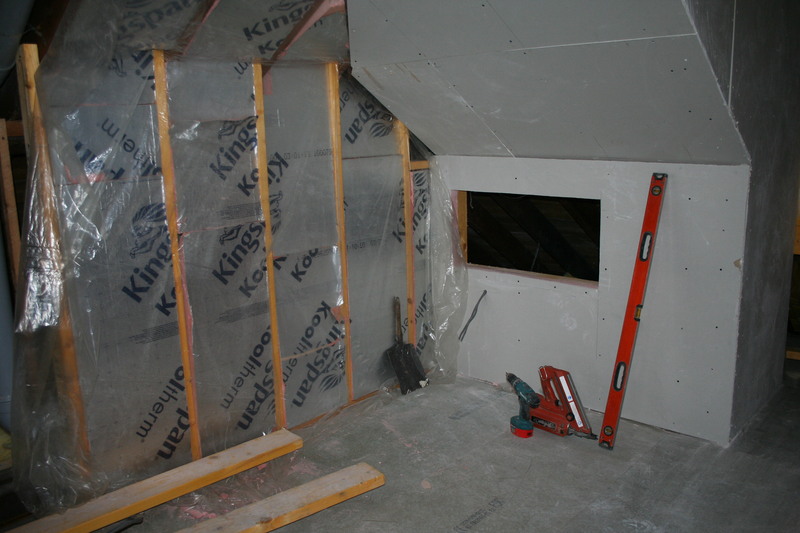 The space for the bed at the back is free of insulation now and we have measured it again. Looks like it’s plenty wide enough – hooray – panic over. The hole you can see will be a bookshelf inset into the wall which will be handy and give that wee bit extra feeling of space next to the bed. Nearly all the perimeter has been insulated now and the stairs should be here quite soon. 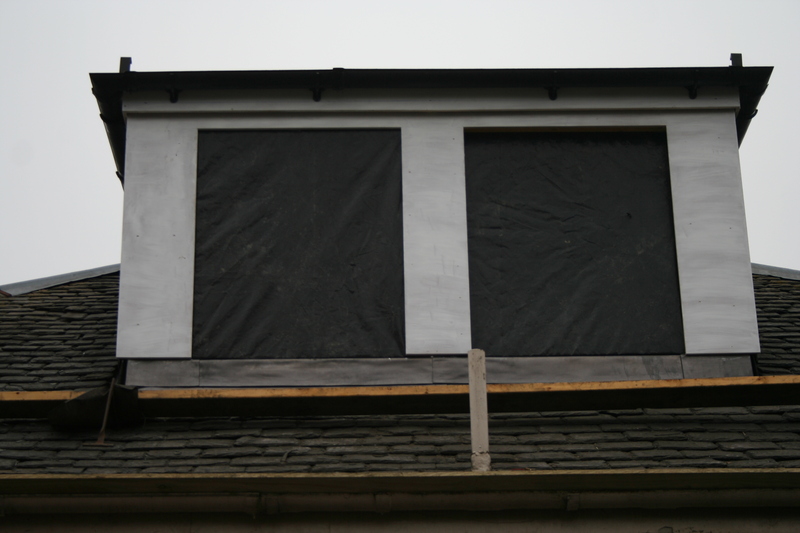 The windows are ordered and a wee bonus that I’ll show you another time. 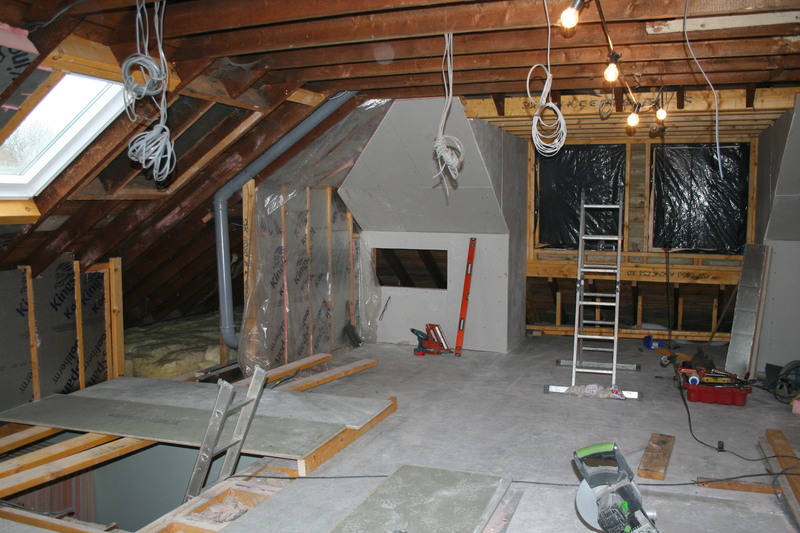 The extra Velux is here too and works on the new bathroom have resumed. I love a bath but I am missing having a shower, especially on work days. Tiles and flooring are being researched at the moment and I even glanced at wallpaper and paint the other day. I’ve been meaning to tell you about what I made of Friday for days now. 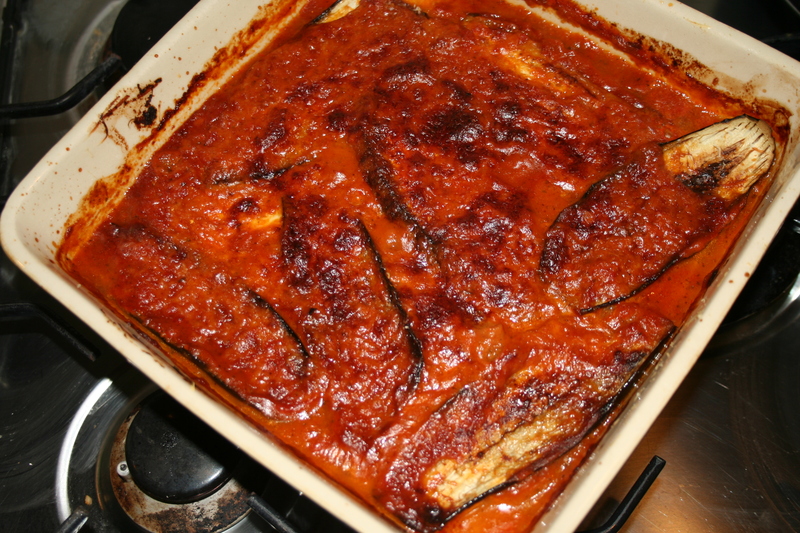 Aubergine Parmigiana is one of those dishes that is so much more than the sum of its parts (or ingredients). I used Sarah’s recipe as a starting point, http://www.viewfromthetable.co.uk/2012/07/pimp-that-veg.html . I used mozzarella as a layer and the parmesan type cheese on top. Absolutely delicious. We had ours with crusty bread and green salad. p.s. If you like woolly tights, Tesco has loads of colours and spotty ones half price at the moment. Random, I know, apologies.